Deducting Mental Health Services from Taxes? Fonthill provides Individual and Family Counseling, Parent Education, Medication Management, Psychological Assessment and Case Management for adolescents and adults. Our specialties include acting out teens, substance abuse, depression, anxiety and relationship issues. We coordinate with outside professionals, when necessary and often work closely with special needs trust attorneys, divorce attorneys, pediatricians, dietitians, and private boarding schools. Fonthill is cost effective, timely intervention that is solution-focused. We use evidence-based treatment and take a goal-oriented approach. No individual or family situation is too complicated when you have professional expertise, organization and commitment from Fonthill. We provide customized solutions for those with busy schedules and complicated situations. With flexible in-office or in-home sessions and 24/7 support options, we help teens and adults move forward. For parents considering if residential treatment or therapeutic boarding school for an acting out teen, Fonthill staff are experts on guiding you through the sometimes confusing world of treatment. We have deep experience in supporting families in finding effective therapeutic wilderness and residential treatment programs as well as other higher levels of care. Let us give you an objective analysis of what's out there and whether it's a good fit. We'll help identify financing, complete intake paperwork and arrange for transition. Contact us today for a free, no obligation consultation. Trained, experienced clinicians are ready to help. Learn more about how Fonthill solutions can help get you and your loved ones back on track. Rob Danzman, MS, NCC, LPC is Founder and Clinical Director of Fonthill Counseling. He has over a decade of experience in the corporate, mental, and behavioral health industries. He consults with professionals and treatment programs on clinical, marketing and customer service improvement related to affluent clients. 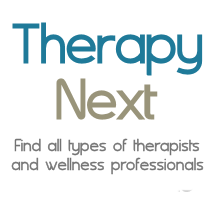 Fonthill therapists are all licensed and have at least a masters degree in counseling, social work or related field. Fonthill psychiatrists are all licensed and have a medical degree with additional training in mental, behavioral and substance abuse issues. Insurance + Credit Cards Accepted. Fonthill provides complimentary claim reimbursement for all out of network insurance.